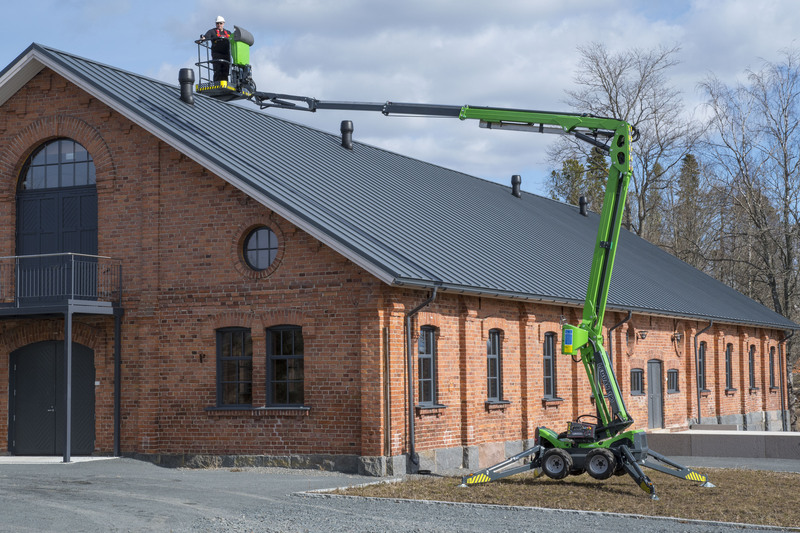 Leguan 190 is our new flagship model providing outstanding working height and a wide variety of functions to meet the demands of professional use. Automatic levelling makes setting up the platform quick and effortless: Automatic levelling works with just a single push of a button. Levelling works quickly and accurately even on sloped surfaces. The weight of Leguan 190 unit is 2.660 kg (both 4WD and unit with tracks). When using the tailor made Leguan trailer for Leguan 190 it is possible to operate the access platform even when the unit is on the trailer. The total weight for Leguan 190 unit with the trailer is 3.330 kg and the allowed total load of the trailer is 3500 kg. 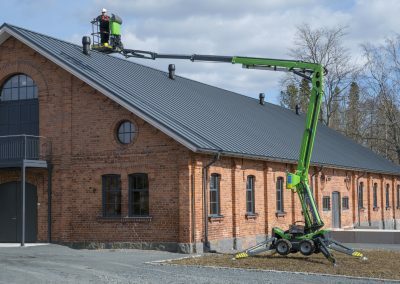 Leguan Lifts is the only manufacturer to offer its access platforms with both: a chassis on wheels and with crawler tracks. This is the case also with Leguan 190: it is available either with hydraulic four wheel drive or with a robust crawler track chassis. The biggest advantage of a four wheel drive chassis is versatility. Thanks to the suspension effect of the rubber tyres it is much more comfortable to drive an access platform with tyres on even and solid surfaces. All-terrain capabilities are also sufficient for almost all circumstances because of the hydraulic four wheel drive, and drive speed is also higher compared to an access platform with crawler track chassis. The most important advantages of a crawler track chassis are a bigger contact surface to the ground and, thanks to increased machine width, a better sideways stability. The bigger contact surface improves traction especially on soft and uneven terrains (e.g. in the forest or on snow). 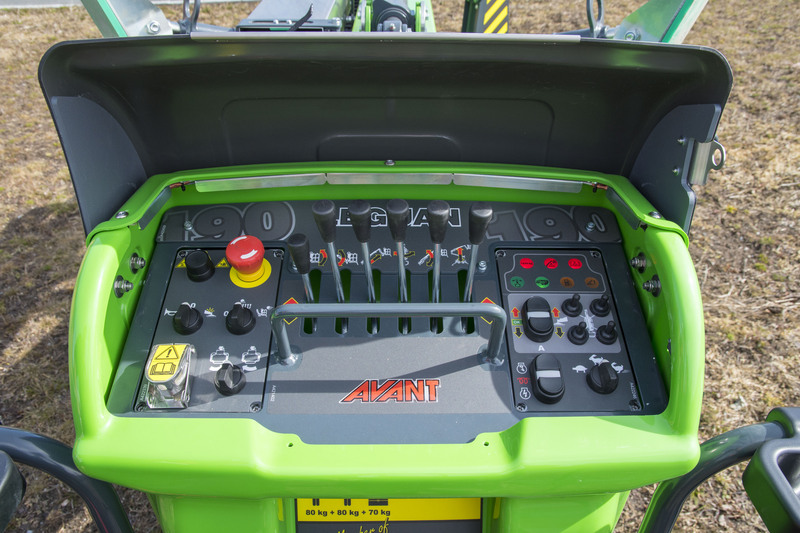 Leguan 190 is the only access platform in its class to offer a two cylinder 14 hp liquid cooled diesel engine. This reliable and durable Kubota engine is made for heavy duty professional use. In addition to reliability, the high torque and pleasant noise level of the engine are features valued by our customers. As an option the Leguan 190 can be equipped with 230 V electric propelling. 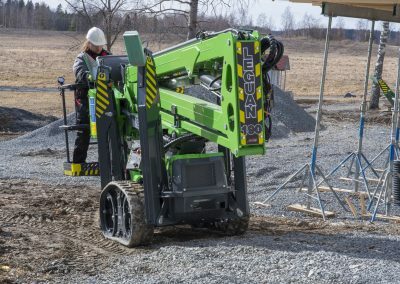 All functions of the machine (drive, outriggers and booms) can be operated with the electric motor when the Leguan is connected to 230 V mains current. The electric propelling option is very useful when working indoors or when a very low operating noise level is required. 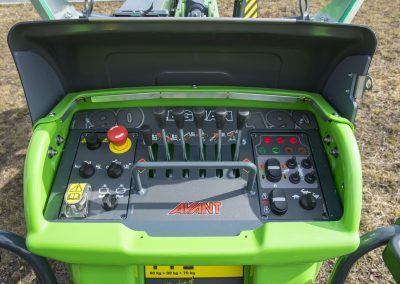 It is also often practical to drive the Leguan to the work site using the combustion engine, then connect it to a 230 V outlet and operate the booms with electric propelling. This way the operation is very silent and fuel costs remain as low as possible. Leguan really shows its versatility in different stages on the building site. Thanks to the intelligent boom design the outreach is excellent. You can get to the very difficult-to-reach places quickly and safely. The Leguan works well both in outdoor and indoor use. 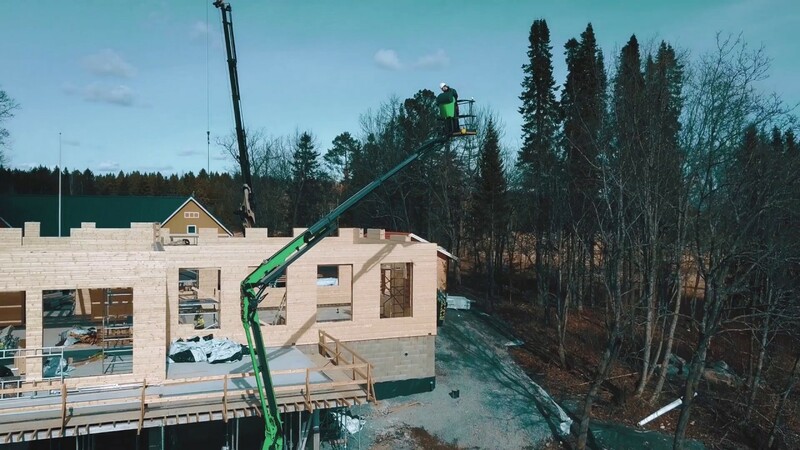 All jobs related to building - erecting the framework, installation of air conditioning, plumbing and electric appliances, masonry, plastering, interior construction and painting – are the specialities of the Leguan. The same features as in construction are important in industrial maintenance as well. Fast and easy transportation, dual propelling system with combustion engine and electric motor and excellent outreach make Leguan the right choice for many different industrial maintenance jobs. Leguan has been the right choice for many very special jobs. 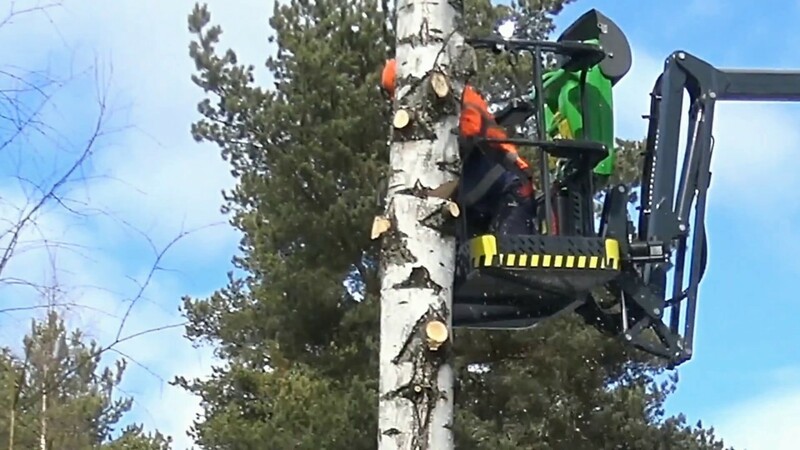 It is working as a maintenance machine on a luxury cruise ship; helps trimming trees on Christmas tree farms; is used in various rescue jobs etc. This shows the versatility of the Leguan and its usefulness in a multitude of jobs. The customer base of the Leguan is very wide. It is very well suited for private users, construction companies, installation companies, as well as for industrial maintenance. The uncomplicated design of the Leguan makes it a very reliable and trouble free access platform. 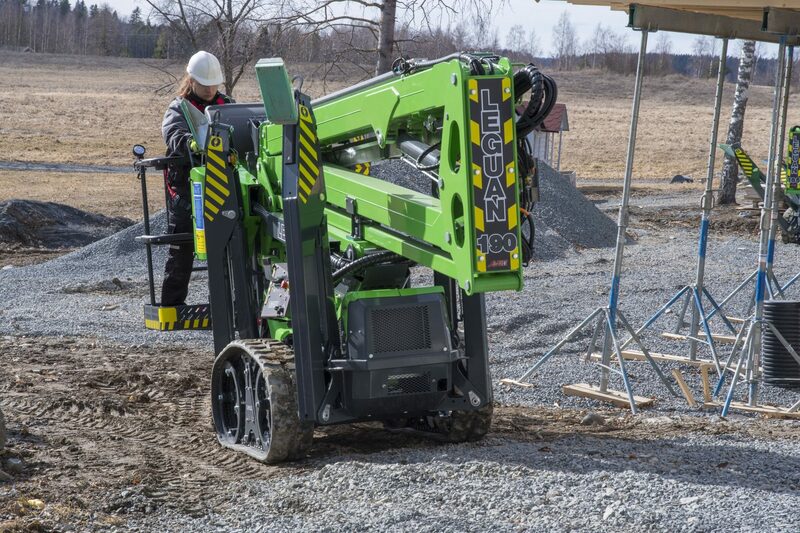 For rental companies the Leguan is a very productive and reliable partner.